Ali Smith's How to Be Both had been on my radar a while before being presented as required reading for an event I helped to organise last month. 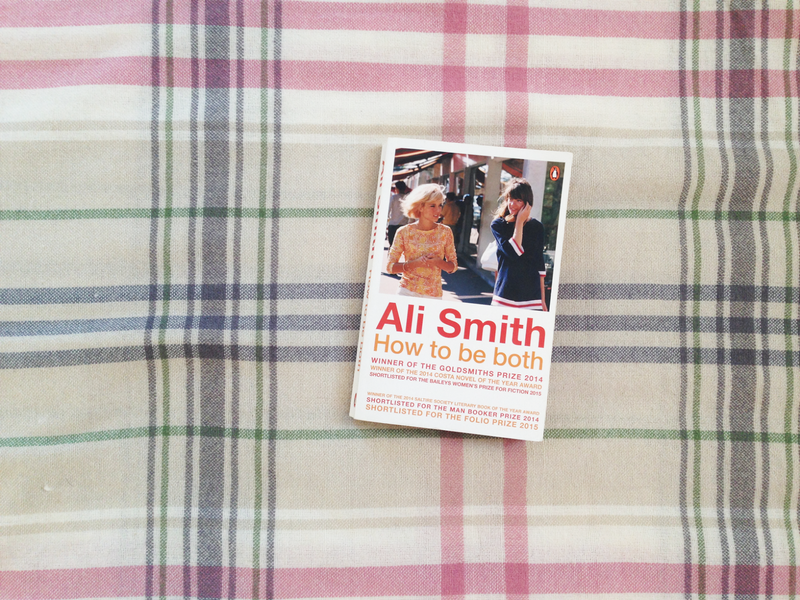 It was my first foray into the writing of Ali Smith and I have not looked back since. How to Be Both is split into two sections: the present and the past. The present tells the story of George, a young girl dealing with the death of her mother and living with an alcoholic father. Her perspective mainly focuses around art, reminiscing about family holidays with her mother in Italy, and visiting art galleries alone after her death. The past is told from the perspective of Francesco, an Italian artist who tells the reader about their early life and how they came to be where they are. Both perspectives are worlds apart, but incredibly similar in their themes ('how to be both') and the feelings of the narrator. The interesting part about the formation of this book is that it was published in one of two orders. Either your book has George's perspective first, or Francesco's. I think this is a fascinating decision on Smith's part, and really reinforces how these stories are so different but so similar they don't have to be read in a particular way. In my edition I had George's story first, and naturally I couldn't imagine reading it any other way. The idea of people experiencing this book in such a different way really intrigues me. My overwhelming feeling towards this book is one of love. I adored the character of George and felt a maternal instinct towards her the whole time, listening intently to her stories and trying to understand her actions. I definitely liked George's perspective more and felt more invested in the story, but that may have been different if I had read Francesco's first. To me the natural order is George-Francesco, The overlap of their stories was just wonderful and there are a few interesting reveals that happen throughout that keep the story fresh. Francesco's part was quite slow going for me, but that was solely because it's written in a different, more poetic style that can seem incredibly disjointed. The whole experience is still wonderful. I'm really excited to read more of Ali Smith's work as this simply blew me away. I've heard most of her writing has this experimental style so I'm not expecting it to be easy, but good writing isn't always simple.